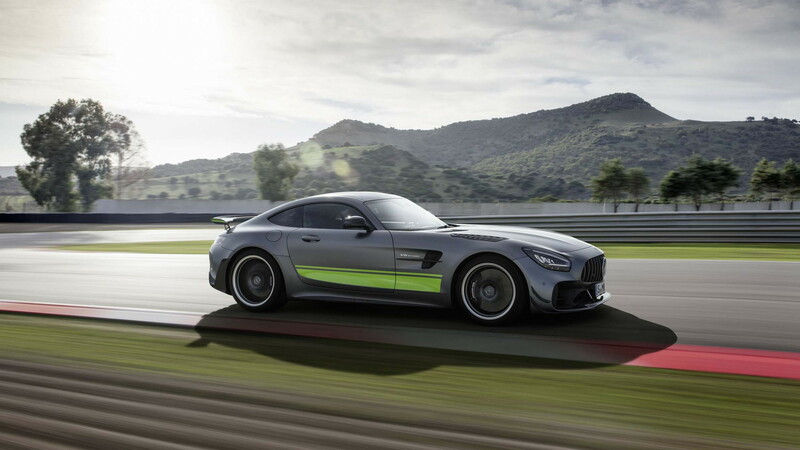 There's a new top dog in AMG's GT sports car family, the GT R Pro, which the Affalterbach tuner unveiled last week at the 2018 LA Auto Show alongside an updated GT range. 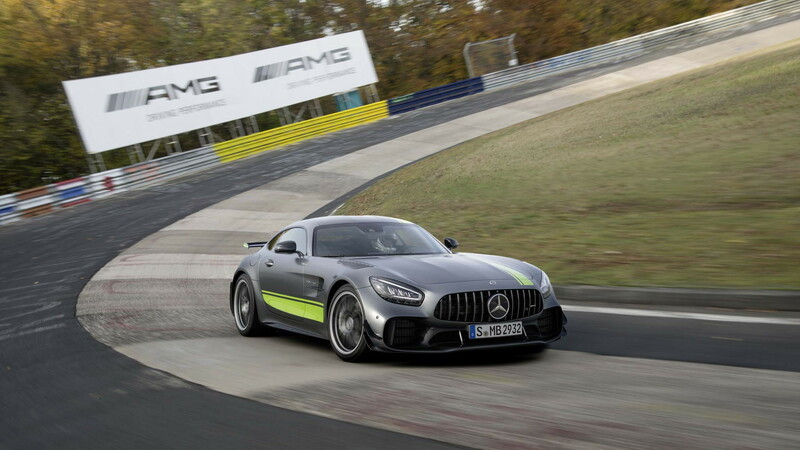 AMG announced at the debut that the GT R Pro is capable of a Nürburgring lap time of 7.04.632, and now we have the video of the hot lap with GT3 racing driver Maro Engel behind the wheel. While the time is well off the record for production cars, the 6:44.97 set by a Lamborghini Aventador SVJ earlier in the year, what's perhaps most impressive is just how stable the 577-horsepower GT R Pro is when driven at the limit. Engel never looks unsettled during the lap. Note, the GT R Pro isn't the fastest when it comes to traditional front-engined, rear-wheel-drive sports cars. That honor goes to the Dodge Viper ACR which in 2017 ran a 7:01.3. 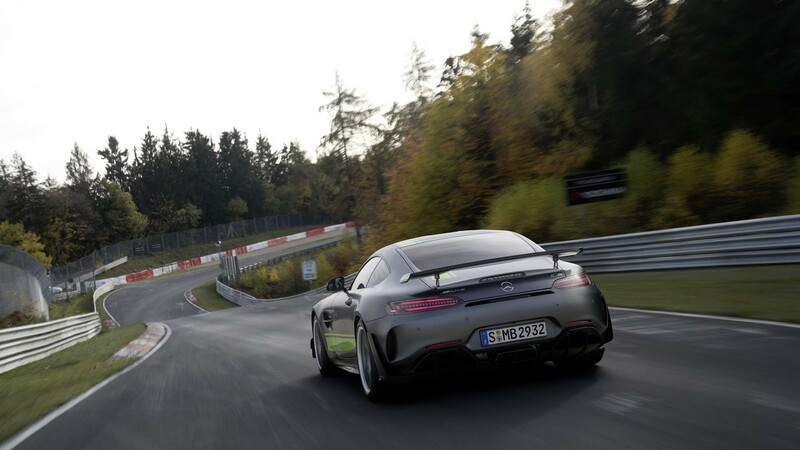 Could we see AMG's GT go even faster at the 'Ring? Absolutely. There's still a Black Series on the way, and AMG boss Tobias Moers last week hinted that the McLaren 720S and Porsche 911 GT2 RS were the targets. That means we could be looking at around 700 hp for the GT Black. While the GT R Pro doesn't feature any additional horsepower over the standard GT R, which laps the 'Ring in 7:10.92, the car benefits from numerous upgrades aimed at cutting lap times. They include upgrades in the areas of weight savings, suspension and downforce. 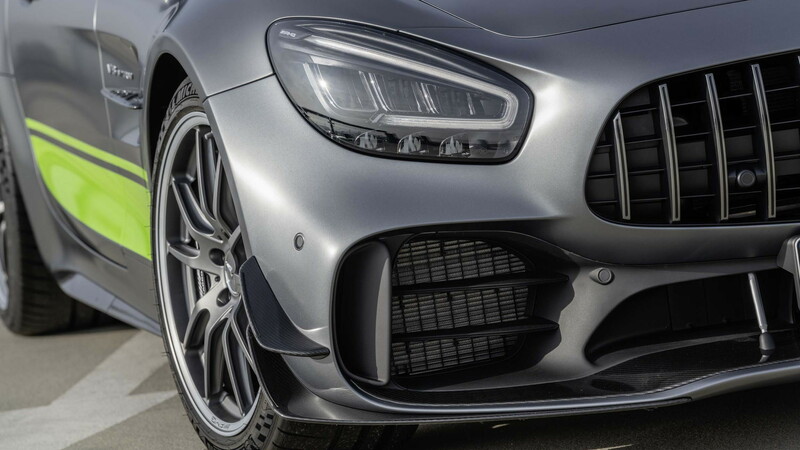 AMG's updated GT, including the GT R Pro, will hit showrooms in 2019 as a 2020 model. Pricing and availability will be announced closer to the market launch.